These fellowships are for tenured faculty members who, in addition to being successful researchers, have a sustained record of commitment to the teaching and mentoring of undergraduate students and to undergraduate education. The title Stephen H. Weiss Presidential Fellow is a permanent designation. Recipients receive a $7,000 a year award, for five years, as long as they continue to hold a professorial appointment at Cornell. Faculty are permitted to hold the title simultaneously with any other named professorship. Up to four awards will be given annually. These fellowships are for tenured associate professors who, in addition to being successful early-career researchers, have a sustained record of commitment to the teaching and mentoring of undergraduate students and to undergraduate education. The title Stephen H. Weiss Junior Fellow may be used during the five-year term of the award. 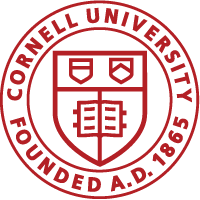 Recipients receive a $4,000 per year award for five years as long as they continue to hold a professorial appointment at Cornell. Up to two awards will be given annually. These fellowships are for Senior Lecturers, Instructors, Professors-of-the-Practice, Clinical Professors and other non-tenure track title holders who have a sustained record of commitment to the teaching and mentoring of undergraduate students and to undergraduate education. The title Stephen H. Weiss Provost Teaching Fellow is a permanent designation. Recipients receive $4,000 per year for five years as long as they continue to hold a professional appointment at Cornell. Up to two awards will be given annually. Please contact weissawards@cornell.edu if you have questions.